Add fun boho details to your global home with an easy dollar store wall hanging. 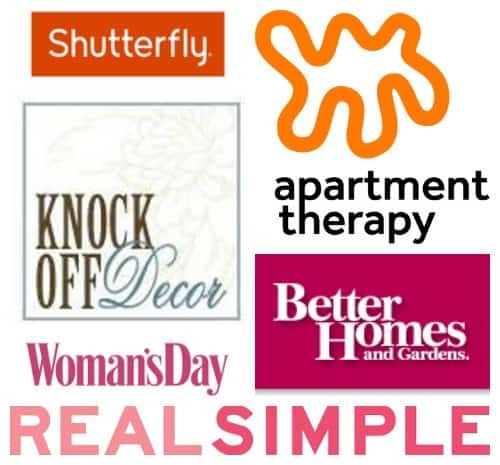 Part of The New Year New Room Refresh Challenge hosted by Casa Watkins Living. Hi there! Welcome to The New Year New Room Refresh Challenge week 5. I’m still waiting on product deliveries and at this point am just hoping they arrive. No point in stressing about things out of my control so I decided to come up with an additional easy DIY for my daughter’s global bohemian chic bedroom makeover. My mom has been visiting us in Japan while my husband is away and we’ve hit every 100 yen store in the area a few times. I grabbed a few supplies to create a dollar store wall hanging and it turned out gorgeous. Scroll down to see my fellow bloggers’ updates (with a few reveals). I also want to say a huge thanks to Casa Watkins Living for organzing this fun annual challenge. Create an easy dollar store wall art for boho decor! If you’ve been here before you probably have seen some of my 100 yen store DIYs. I found a good size mirror in a plastic frame, some paper roses, and beautiful silver leafy stems (pictured below). Update a plastic frame with left over craft paint or spray paint. Make sure to tape off the frame. I used wax paper and washi tape for this task. My frame was thin enough for one coat of gold spray paint. You may want to try 1-2 light coats of paint depending on your mirror. After it dries, use a craft knife and lightly score around the inside of the frame so the paint doesn’t pull off with the tape. Lay out two leafy stems (trim if needed) in bottom corner. Secure with a thin line of hot glue. Trim off a few flower heads and glue in the middle. Finish off with a longer leafy stem in a contrasting color or feathers tucked behind the first stems. The mirror I found has a stand on the back so it could also sit on a table for my daughter. Love a multi functioning decor piece! I have it in our living room right now and have already fallen in love with it’s temporary home. My daughter’s room is currently being used as a guest room for my mother. Hopefully next week I can share the full reveal but it might just be an update until I get everything in. The mirror had a plastic hanger that wasn’t very pretty. I removed it with a craft knife and tied a piece of farmhouse ribbon (I got it for free in a Japanese fukubukuro “lucky bag” at New Year’s) around the back stand for a hanger. Not bad for some dollar store greenery and mirror! Right? I hope it inspires you to check out your local dollar store for some craft supplies that you can transform into pretty boho art! Very Pretty! Can I just say that your photography always blows me away! 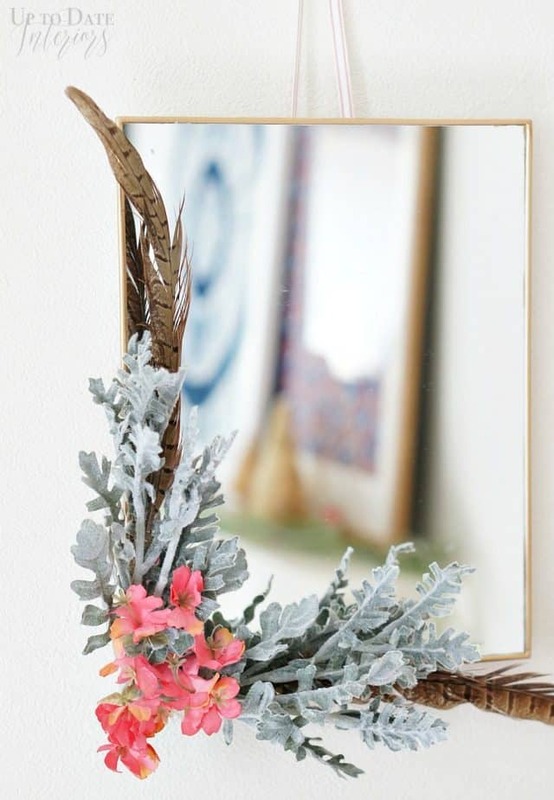 What a beautiful addition to a plain jane mirror! It’s just darling!! Looking forward to seeing everything styled in your daughter’s room! !